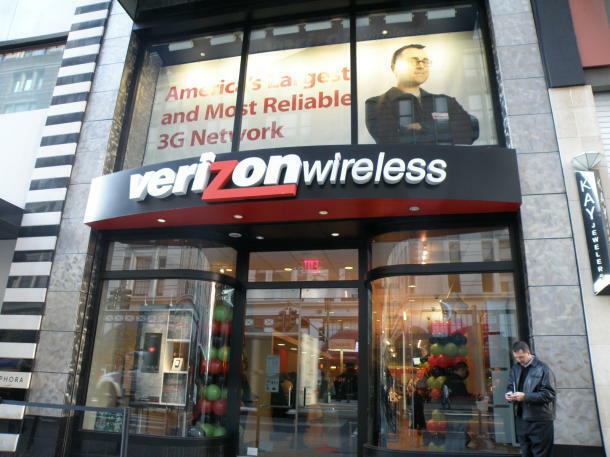 Verizon Wireless on Tuesday announced that it is activating its 4G LTE network in 27 new markets on April 19th and expanding existing network coverage in 44 markets. The carrier said it will activate 4G LTE services in: Auburn and Tuscaloosa, Ala.; Pine Bluff, Siloam Springs and Van Buren, Ark. ; Visalia/Porterville, Calif.; Fort Walton Beach and Ocala, Fla.; Brunswick, LaGrange and Macon/Warner Robins, Ga.; Peoria, Ill.; Kokomo/Logansport and Marion, Ind. ; Dodge City, Garden City, Great Bend and Hays, Kan.; Salisbury, Md. ; Cattaraugus/Allegany, N.Y.; Sandusky, Ohio; Ardmore and Ponca City, Okla.; Salem/Albany/Corvallis, Ore.; Pierre, S.D. ; and Big Springs and Tyler, Texas. Verizon also said it’s expanding its existing 4G LTE footprint in: Phoenix and Tucson, Ariz.; Bakersfield, Fresno, Modesto, Sacramento, Salinas/Monterey, San Diego, San Francisco, San Luis Obispo and Stockton, Calif.; Colorado Springs and Fort Collins/Loveland, Colo.; Sarasota/Bradenton, Fla.; Boise/Nampa, Idaho; Carbondale/Marion and Rockford, Ill.; Fort Wayne and Indianapolis, Ind. ; Des Moines, Iowa; Boston and Worcester, Mass. ; Detroit, Mich.; St. Louis, Mo. ; Las Vegas and Reno, Nev.; Manchester/Nashua, N.H.; Albuquerque and Santa Fe, N.M.; Buffalo/Niagara Falls and New York, N.Y.; Akron, Cleveland and Columbus, Ohio; Oklahoma City and Tulsa, Okla.; Portland, Ore.; Providence/Pawtucket, R.I.; Nashville, Tenn.; El Paso, Texas; Provo/Orem and Salt Lake City/Ogden, Utah; and Olympia/Centralia and Spokane, Wash.
As of April 19th, Verizon’s 4G LTE network will be available in 230 markets, which represents about two-thirds of the U.S. population. BASKING RIDGE, N.J. – Verizon Wireless, owner of the nation’s largest 4G Long Term Evolution (LTE) network, today announced that it will cover more than two-thirds of the U.S. population when it introduces its 4G LTE network in 27 new markets and expands in 44 markets on April 19. With the new and expanded markets, Verizon Wireless continues to lead the industry in 4G LTE deployment, offering network coverage in 230 markets across the United States. By the end of 2012, the Verizon Wireless 4G LTE network will be available in more than 400 markets, and will be available to more than 260 million people in the United States. With the continued growth of the Verizon Wireless 4G LTE network, people in more areas of the United States will be able to take advantage of the speed and connectivity offered by the nation’s fastest 4G network. Verizon Wireless currently offers more than 20 4G LTE-enabled devices, including the new Lucid™ by LG and the Samsung Galaxy Tab™ 7.7. On Thursday, April 19, the company will introduce its 4G LTE network in Auburn and Tuscaloosa, Ala.; Pine Bluff, Siloam Springs and Van Buren, Ark. ; Visalia/Porterville, Calif.; Fort Walton Beach and Ocala, Fla.; Brunswick, LaGrange and Macon/Warner Robins, Ga.; Peoria, Ill.; Kokomo/Logansport and Marion, Ind. ; Dodge City, Garden City, Great Bend and Hays, Kan.; Salisbury, Md. ; Cattaraugus/Allegany, N.Y.; Sandusky, Ohio; Ardmore and Ponca City, Okla.; Salem/Albany/Corvallis, Ore.; Pierre, S.D. ; and Big Springs and Tyler, Texas. The company will also expand its 4G LTE network in Phoenix and Tucson, Ariz.; Bakersfield, Fresno, Modesto, Sacramento, Salinas/Monterey, San Diego, San Francisco, San Luis Obispo and Stockton, Calif.; Colorado Springs and Fort Collins/Loveland, Colo.; Sarasota/Bradenton, Fla.; Boise/Nampa, Idaho; Carbondale/Marion and Rockford, Ill.; Fort Wayne and Indianapolis, Ind. ; Des Moines, Iowa; Boston and Worcester, Mass. ; Detroit, Mich.; St. Louis, Mo. ; Las Vegas and Reno, Nev.; Manchester/Nashua, N.H.; Albuquerque and Santa Fe, N.M.; Buffalo/Niagara Falls and New York, N.Y.; Akron, Cleveland and Columbus, Ohio; Oklahoma City and Tulsa, Okla.; Portland, Ore.; Providence/Pawtucket, R.I.; Nashville, Tenn.; El Paso, Texas; Provo/Orem and Salt Lake City/Ogden, Utah; and Olympia/Centralia and Spokane, Wash. In real-world, fully loaded network environments, 4G LTE users should experience average data rates of 5 to 12 megabits per second (Mbps) on the downlink and 2 to 5 Mbps on the uplink. When customers travel outside of 4G LTE coverage areas, devices automatically connect to Verizon Wireless’ 3G network, where available, enabling customers to stay connected from coast to coast. Verizon Wireless’ 3G network is the most reliable high-speed data network in the country and allows customers in 3G coverage areas who purchase 4G LTE devices today to take advantage of 4G LTE speeds when the faster network becomes available in their area or when they travel to areas already covered by Verizon Wireless’ 4G LTE network. On April 19, Verizon Wireless’ 4G LTE network will be available in 230 markets across the United States. Visit www.verizonwireless.com/lte for a full list of 4G LTE markets and additional information about Verizon Wireless’ 4G LTE network. For a comparison of Verizon Wireless’ 4G LTE network coverage to its competitors, street-level detail of coverage and more, please visit www.verizonwireless.com/4glte.